David Parsons started in music as he taught himself to play drums at the age of 15 while he lived in Wellington, New Zealand. He ended up playing in jazz groups professionally, but after he while he got frustrated as he yearned to play a more melodic instrument. He tried trombone and guitar, but none of them gave him the necessary satisfaction. In the ’60 he went to a concert of Ravi Shankar where he got under the spell of the sitar and tabla drums. This started a lifelong love for Indian, sitar music and non-Western music traditions. 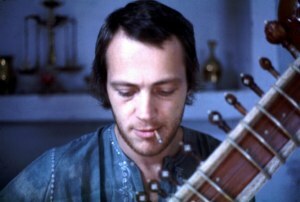 In the years to come Parsons developed an affinity with Indian Music, while he had an advertising-job. In 1974 he quit his job and left for India for a year. He began composing music after various formal Indian music studies. Naturally he started approaching all music in their kind of music theory. In the late seventies things changed a bit as David became interested in the physics of sound creation, which led to the purchase of his first synthesizer. He started fusing and layering electronic sounds with Indian instruments and natural sounds. Some of his home-made tapes travelled to USA and were sold in a bookstore in Los Angeles. One of the customers who bought them was no other than by Ethan Edgecombe, who at that time was running the small new age label Fortuna Records. Drawn into the magic of Parsons’ music he wanted to release his recordings, and got in touch with him. The first album was the mc “Sounds of the Mothership”, followed by the mc “Tibetan Plateau”, which later would end up together on one cd. The label and the apparent rise of new age music in the early eighties made it possible for Parsons to buy some more (polyphonic) synthesizers, but the musical outcome always stayed what he calls “his life experience”. Now Parsons was able to further express his passion for India in his music, inspired by the many travels he undertook in that period. David recalls the darker side of his music, a suggestion of hidden depth that did in fact echo the sounds of the deep night ragas of India. The contact and stay with Tibetan Monks living in exile in Northern India led to the recording of chant and ceremony, which were later on implemented in his ethno-electronic music like on the next album “Himalaya”. Part of the content is space music but also reflects the beauty and impact of Indian and Tibetan culture music. 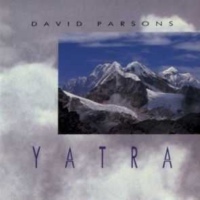 This is also exposed on the double cd “Yatra” (1990), which mirror’s David’s inner journey and experiences while he travelled through India. Parson recalls that several sound effects and environmentals on it were basically done as he was hanging out a train in the middle of the night with the tape recorder going. Not long after that Fortuna Records was bought by the Celestial Harmonies-label. 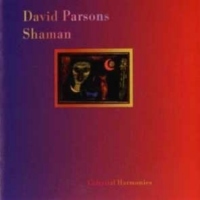 Eckart Rahn asked David for a project to record some traditional Asian Music for Celestial Harmonies, which he accepted. 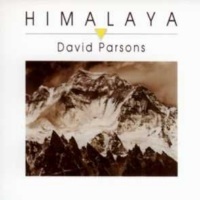 In the following years, Parsons would undertake various extensive travels as he was commissioned to collect music of Cambodia, Islam, Vietnam and many more countries and cultures. 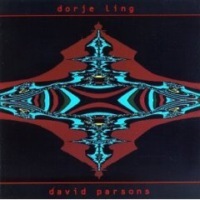 After five years of “radio silence” finally a new solo album saw the light: “Dorje Ling”. Like the former cds it features extensive tracks of deeply reverent atmosphere which is able to get the listener in trance-like states. The impressive 20 minute title track transports the listener into a Tibetan ceremony including bells, droning bass textures and deeply moving monk chants. With short breaks it lasted until 1997 before David Parsons returned to New Zealand, where he recollected all his experiences of the past years in music and cultures. The result became “Ngaio Gamelan”. According to Parsons, it’s a kind of East-meets-East fusion which blends various acoustic instruments into an electronic music setting. The album offers a rich aural landscape of Indonesian gamelan and percussion-elements of Bali and Java. Next came “Shaman”, a gathering of spirits transformed into a fascinating coiling mass of self-made electronic sounds and textures. On “Parikrama” Parsons moved back to his earlier music, mixing impressive monk chants with electronic textures, environmentals and the sounds of his beloved sitar. 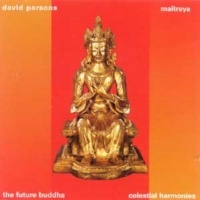 The year 2002 saw the release of “Maitreya, The Future Buddha”, an album that again expressed Parson’s intense interest in both Hinduism and Buddhism. On the album-sleeve he states that his love for both is probably because of their absolute human approach, as it recognises that we all are individuals endeavouring to seek “truth” in our own terms, in our individual ways. Through his travels David Parsons became aware that culture is a very strong human experience which affects us all to the core of our being. The 12 minute title track of in-depth atmospheres and various monk chants is what Parsons calls “a sonic impression of Buddhism in the 21st century as it has grown in the West”. The music on the double cd compilation “In Retrospect: 1980-2003” has been selected and sequenced by no other than David Parsons himself. It features an impressive overview of music with tracks of all of his albums, plus two previously un-issued tracks. The last couple of years, David Parsons has been working on three new projects which again illustrate the range of his musical palette. The track “Dhauladhar Dreaming” (as featured on “In Retrospect” cd 1, track 4), is taken from a recording of the same name. Surprisingly, it’s a quite rhythmic excursion on which Parsons has been using a drum machine along with Indian percussion. On this inspiring piece he also plays the Indian esraj, a fretted cello, and the South Indian vina, an instrument that looks vaguely like a sitar. The second project carries the title “Inner Places”, and was inspired by the computer games Myst and Exile, which both feature ambient music. “It transports you to another place,” he says, “only these are places of the mind.” This album was released in 2005 on Celestial Harmonies. The third album that’s in the works is called “Atma Yatra” (which can be translated as Soul Journey) which Parsons describes as a darker cousin of “Ngaio Gamelan”. David Parsons, who still lives in Wellington, New Zealand, continues writing music for television and film. His many extensive travels through various countries in Central Asia have brought Parsons new insight into his own music. Next to the heavenly, almost sacred elements there’s also the feel of darkness which remained a defining ingredient of his sound to this day. In the middle of 2004, David started work on the album “Vajra”, which was released in the beginning of October on Groove Unlimited. The inspiration was of course Tibetan Buddhism and the Himalayas, as he spent quite a lot of time in the Himalayan Dhauladhar/Kulu/Lahau area of North India. Still, David doesn’t feel too comfortable with naming tracks because it kind of narrows down the listening perception to a specific place or thing. He repeats he feels his music is more abstract than that, he likes the listener to develop their own imagery. David finished a more “world” type album called “Hutan” (Indonesian for forest) in Spring 2007. In addition, he decided to change the project “Dhauladhar Dreaming” by replacing two tracks with new material and giving the just the title “Dhauladhar”. 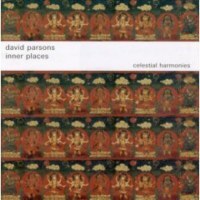 In addition, Celestial Harmonies also plans to release David’s new album “Surya”, a very ambient/atmospheric piece of work, at the end of 2007. 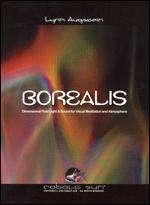 The title track “Surya” (Hindu sun god) was pretty much inspired by the dvd “Borealis” (Dimensional Fluid Light & Sound for Visual Meditation and Atmosphere) by visual artist Lynn Augstein. 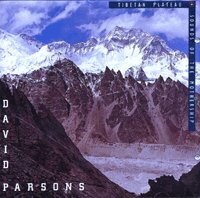 This dvd also features some of Parsons’ previous music. 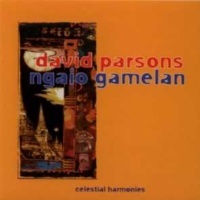 David was especially inspired by a trailer she included on the dvd of a forthcoming release called “Mandala”. 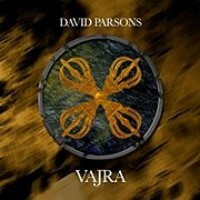 Nevertheless, David Parsons continues to confirm he’s thé sonic impressionist of Buddhism in the 21st century.